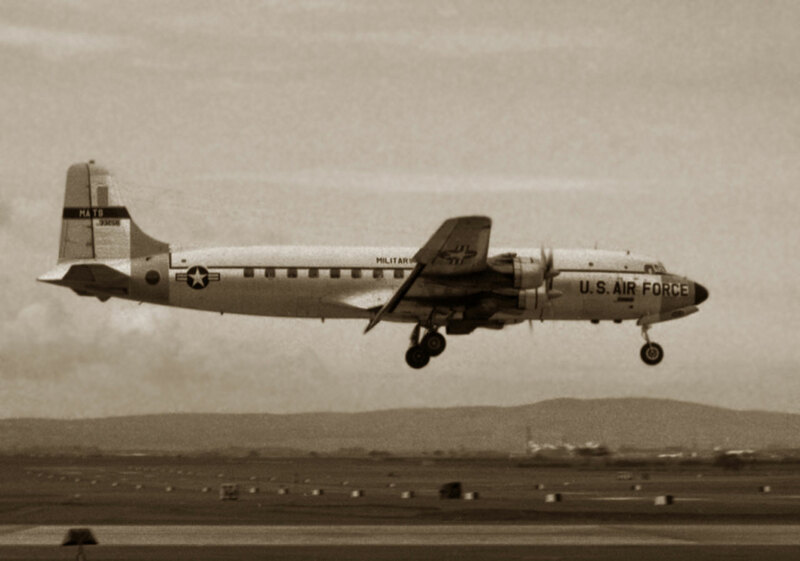 52-0957 Douglas C-124C-DL Globemaster ( 43866) USAF - MATS departing on 09 June 1961, a busy day at Prestwick with C-124 x 3, C-130 x 3, C-118 x 7 plus 3 Danish A/F T-33 on delivery plus Dragonfly G-ANYK NE to Renfrew at 11:22. 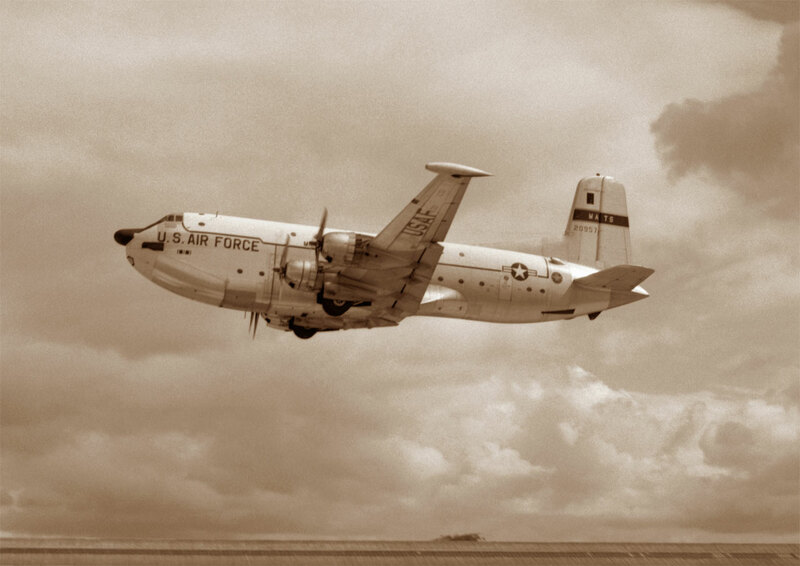 Also I mentioned in my log that the C-124’s and C-130’s operated EGPK-Benbecula-EGPK. 53-3254 Douglas C-118A Liftmaster (44625) USAF - MATS flaring for 31. 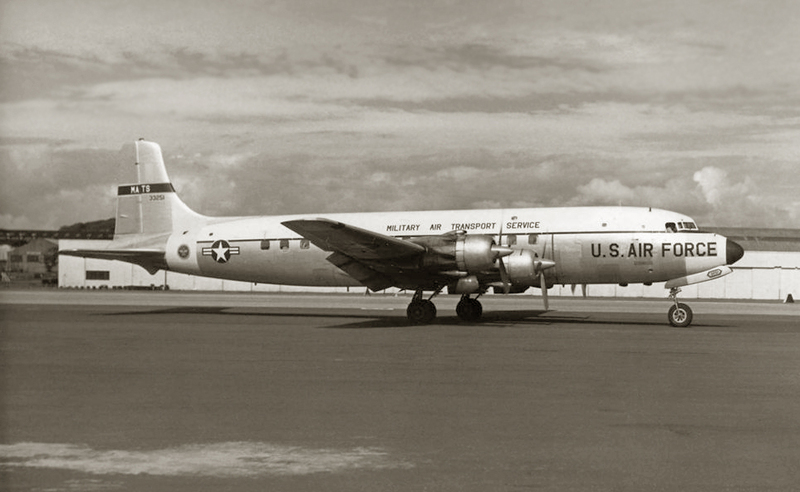 53-3251 Douglas C-118A Liftmaster (44622) USAF - MATS on 17 July 1960. The Liftmaster was a real workorse on the Trans-Atlantic run for many years. 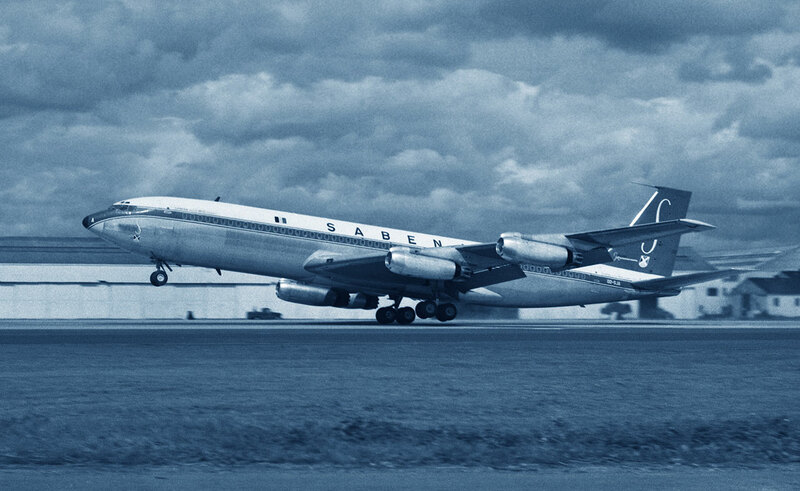 OO-SJA Boeing 707-329 (17623) Sabena shown in a rather dramatic posture. OO-SJA ended up at the Air Museum of Brussels since 04 April 1984, with the front section only on display. tt 64,463 / 18,684 landings. 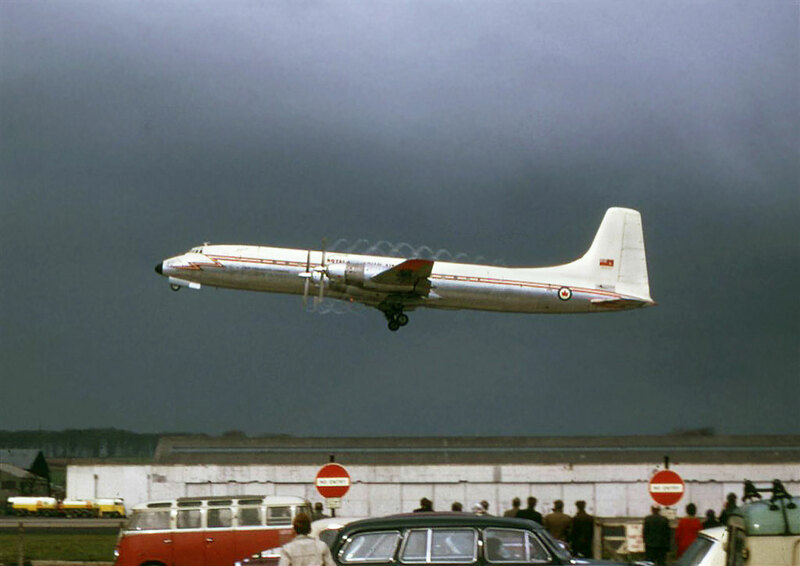 Hi Neil, Talking of the old fire station at Prestwick, this was a shot I took of Yukon 15930 taking off on 13 April 1964. I had raced round from the enclosure but didn't quite make it. Heard it coming so I fired off a shot anyway. Gordon.